The 76ers reportedly refused to include Markelle Fultz in trade offers for Kawhi Leonard, which seems misguided to me. Leonard carries major questions about his future, but after his rookie year, so does Fultz! At least Leonard has proven he can reach an elite level. That’s not to say Philadelphia should have definitely dealt Fultz for Leonard. The 76ers definitely have a better understanding of Fultz’s behind-the-scenes progress, and they might have more information on Leonard’s health and willingness to stay long-term. I just wouldn’t have made Fultz a deal-breaker in negotiations. But it seems the Spurs placed a far more unreasonable restriction on Philadelphia, though. 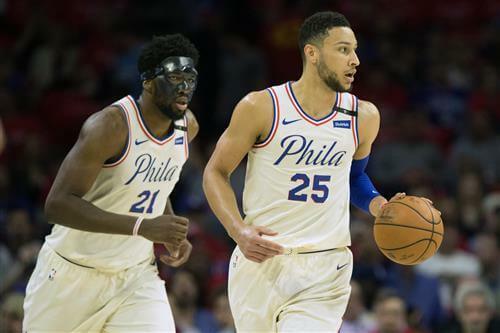 The Spurs made it clear any deal with Philly would require Ben Simmons or Joel Embiid (likely Simmons), and the Sixers weren’t going anywhere near that, league sources say. Given their age and contract status – and, in Simmons’ case, health – Simmons and Embiid are each way more valuable than Leonard. There’s no way the 76ers would have dealt either of those two for Leonard. Which apparently took a still-viable suitor off the table for San Antonio.